There is no doubt that the biggest social networking site taking over the whole globe is Facebook. Since it’s the biggest thing the online world has ever seen for the last several years, it’s critical that you understand the guidelines and policies listed on the site. They’re very useful in keeping you informed with various aspects of the site and how it runs. You should know by now that for every website that you go to, there’s always a good chance of encountering good and bad users. Facebook can be accessed by just about anybody so it’s imperative that you are wise and conscious with how you distribute or share information about yourself on it (and other social networking sites for that matter). Identity theft is one of the biggest concerns in the online world today. They are real and can devastate a person’s life if the person isn’t aware of what’s going on. The internet is fun to be on nowadays since it helps you to keep in touch with your old and new friends, family and associates. You can share content such as pictures with anyone who has an internet connection, play games seamlessly through a virtual portal, being aware of announcements and updates of certain events and entertaining friend requests. Such things have prompted users to come back for more and what many aren’t aware of is the fact that they are vulnerable to online predators and criminals. 1. Understand how the security feature works on Facebook. As you are well aware, Facebook is known for periodically modifying its security settings. You will observe posts from the site of the changes being made with regards to its security features that lets other users see content that you don’t want them to view. It’s critical that you look into this carefully and see if the changes can significantly affect you in some way. 2. Don’t reveal too much information on Facebook. One of the most obvious ways of getting in trouble within the biggest social networking site is by revealing too much information on just about everything (including yourself). You should be aware of the things that you’re sharing, be it your profile, wall posts, messages and even the content that you share such as pictures and videos. You’ll never know, criminals would use whatever it is you post for their own evil means. Social networking sites these can be penetrated by online criminals who use sites like Facebook to gain information about you. This can occur through a sent or posted link, which will in turn eject a virus or spyware to retrieve personal information about you. If you happen to receive a link that you find suspicious, ask your friends about it or simply delete it. 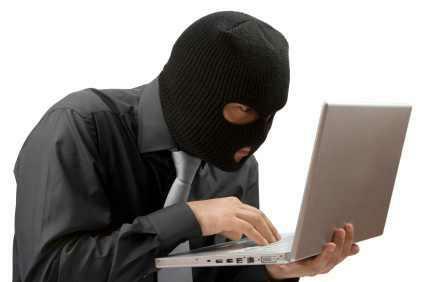 With the evolution of technology, cyber criminals are more smarter than ever. If you are constantly paying attention for any suspicious activity that comes your way, you can shield yourself from identity theft and other online criminal acts.